Lourdes was born with myelomeningocele Spina Bifida—the most severe form of the defect in which the backbone and spinal canal do not close properly before birth—as well as hydrocephaly. Lourdes, who uses a wheelchair most of the time, has impaired mobility and sensation from the waist down. Despite the challenges she has faced, Lourdes has accomplished a breathtaking amount in her short life. 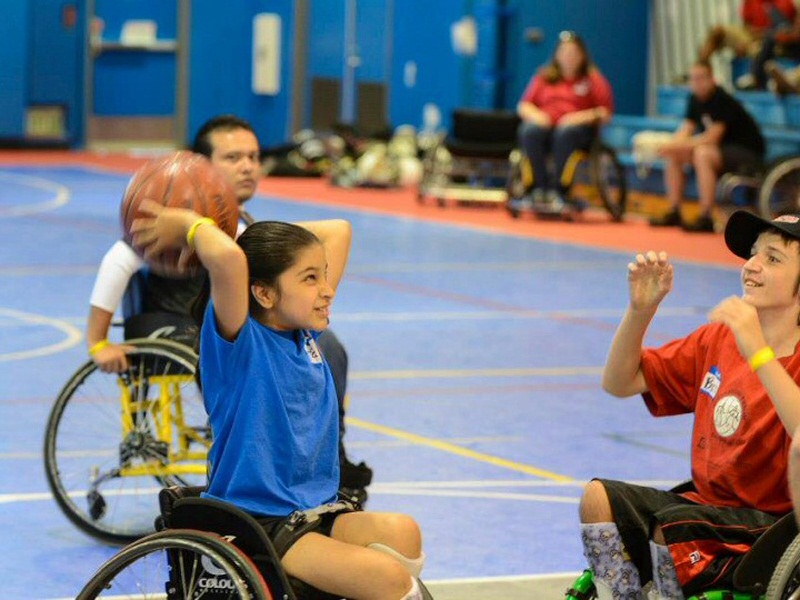 She has never let her physical limitations get in the way of her dreams. Lourdes has almost braved too many procedures, surgeries and intensive rehabilitation to list them all. To share just a few - right after she was born, Lourdes had surgeries to repair her spine and add a valve to her brain to remediate her hydrocephaly, followed soon after by surgery to relieve seizures due to blood clotting in her brain. Serious complications with the valve in her brain when she was 7 led to a dramatic 3 surgeries within a week. The complications from this operation were so severe that she lost control of her eye movement, and it took several months for her to regain eye functioning. As a self-described “outgoing, friendly, and determined” individual, Lourdes naturally drifted to the arts and music. Lourdes is a member of Can-Do Musos, a global organization that provides guidance and support to musicians with disability. Can-Do Musos was founded by Andrew Hewitt, an Australian drummer with Cerebral Palsy (more about Andrew on myCareSpace) In January 2017 Lourdes presented with other Can-Do Musos members from around the world at the Winter NAMM Show, the largest music expo in the world. Lourdes' biggest dream is to, “go to a performing arts college, and perform in musical theater and television,” and she is well on her way to fulfilling this dream. 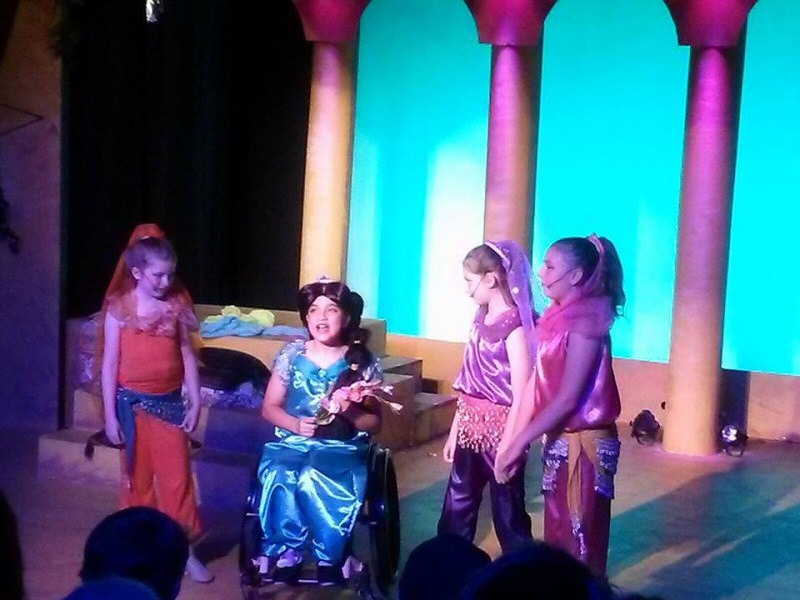 She has performed in many musicals with YADA, and in 2011 she landed the lead role of Jasmine in Aladdin Jr. Lourdes has made several TV appearances andmost recently as an extra on the ABC comedy Speechless, which focuses on the DiMeo family and their eldest son JJ who has Cerbral Palsy. This groundbreaking television show is bringing awareness to the lives of special needs families, and it is one of the first shows to hire actors who have disabilities in real life like Lourdes and Micah Fowler, who plays the main character JJ and has Cerebral Palsy in real life. 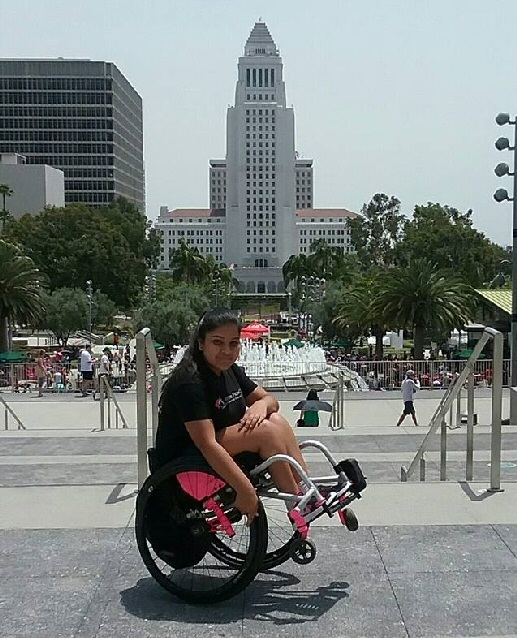 As if that’s not enough Lourdes is also very involved in sports and is an active member of the Infinite Flow, a wheelchair dance company based in LA. But wait there is MORE - Lourdes started volunteering before the age of two as the poster child for Orthopedic Institute for Children, and by age of three she started volunteering for Shane’s Inspiration—an organization that provides accessible playgrounds—which she still works with today. She also works with Global Mobility, a non-profit organization that provides assistive equipment at no cost to people in developing countries. Not surprisingly Lourdes has been recognised for her work in the community and has been interviewed by the LA Times. She attended and sung on stage with a group of campers as part of a Live Celebration for Carole King, where she was joined by celebrities like Jack Nicholson and Katy Perry. 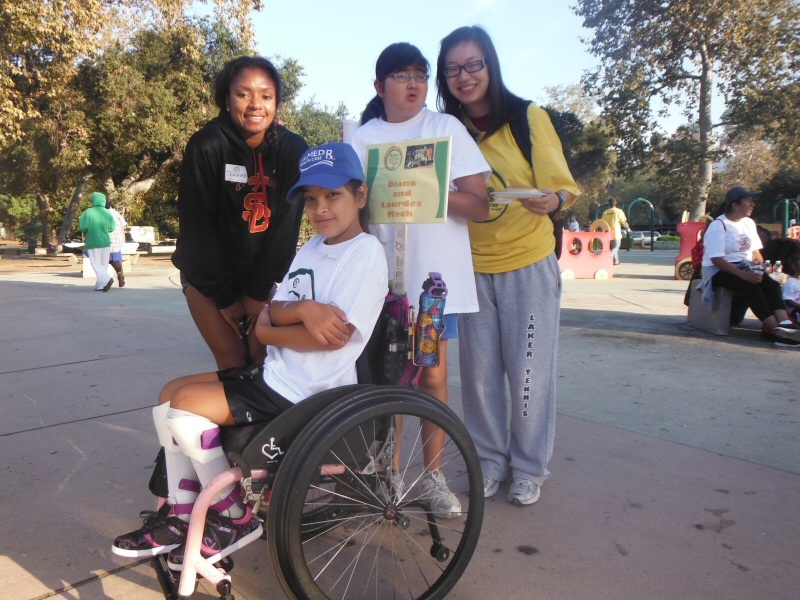 In 2013, she was crowned Little Miss Wheelchair CA, and she continues to uphold this title by acting as a role model for young girls with disability who aspire to pursue their dreams. Lourdes family has played a large part in shaping who she is. We got some insights from Lourdes’ mom Nicte to learn more about out how she has become the well rounded, and ambitious young woman that she is today. Nicte , what were the values you instilled in your daughter? To be an advocate for people with disabilities and for herself, never take a “no” for answer, find a way, but at the same time be respectful in your battles—fight with good manners and dignity. How has Lourdes’ upbringing shaped who she is? We try to expose her to as many opportunities and activities available, and we focus on her strengths and empower them and use them to her advantage. She has a very strong will and is very competitive, and she likes to shine and is not shy at all, so we focus on those aspects of her personality in everything she is involved. What is the single most significant thing that has helped Lourdes’ get to where she is? We try to raise her and ask her for the same things a parent of a typical teen will ask. She has opportunities to practice daily responsibilities and do the same as others, and we also know her weaknesses in organization and planning, so we invest more one to one time at home and at school to work on it. What advice do you have for parents with newly diagnosed children (with SB)? It is ok to feel afraid of the unknown. No child with Spina Bifida is the same as the others, so try to live your individual journey. Take from others what you can use only, and do what works best for you and your child. Try to be as involved in community events, seminar and conferences where you can network with people who are living a similar journey. You’ll be surrounded by a new family, and it feels good to speak the same language (therapies, school stuff, medical research, etc.). Education will be your better ally. It is an exciting journey for sure, and you’ll never get bored. 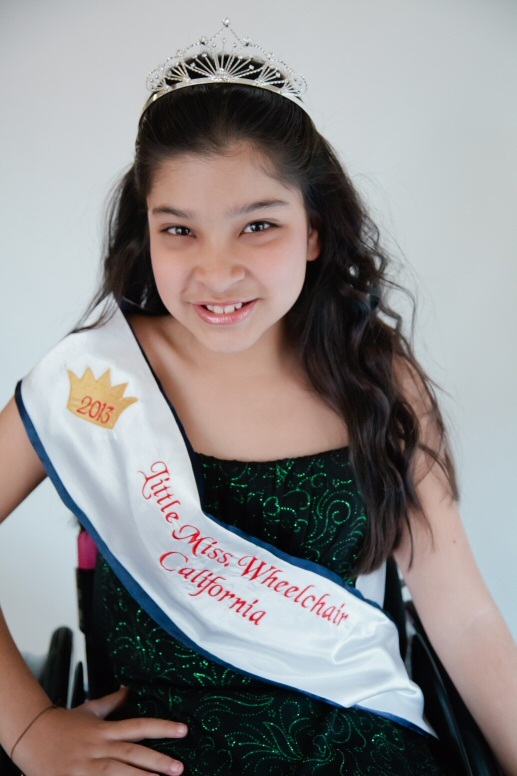 Lourdes' bio is featured on the Christopher and Dana Reeve Foundation Paralysis Resource Guide, and she was crowned Little Miss Wheelchair CA 2013. Stop comparing our kids. Skip homework sometimes. And love them. Join the MyCareSpace community and tell us how it is here. - What to do in the School Holidays?